Many of you are probably winding down from a nice Thanksgiving weekend. You may or may not have had turkey at the center of your table, but if you did, this recipe is for you. One of the most wonderful parts of big turkey dinners, is (in my opinion), getting to make soup from the leftover turkey bones. I am usually fortunate enough to be the recipient of said leftovers when attending family dinners. Sometimes I will pop the bones into the freezer and save them for when I have more time, but this week I got right to work and have been enjoying turkey soup all week long. With the holiday season still looming ahead of us, this recipe may come in handy before you know it! 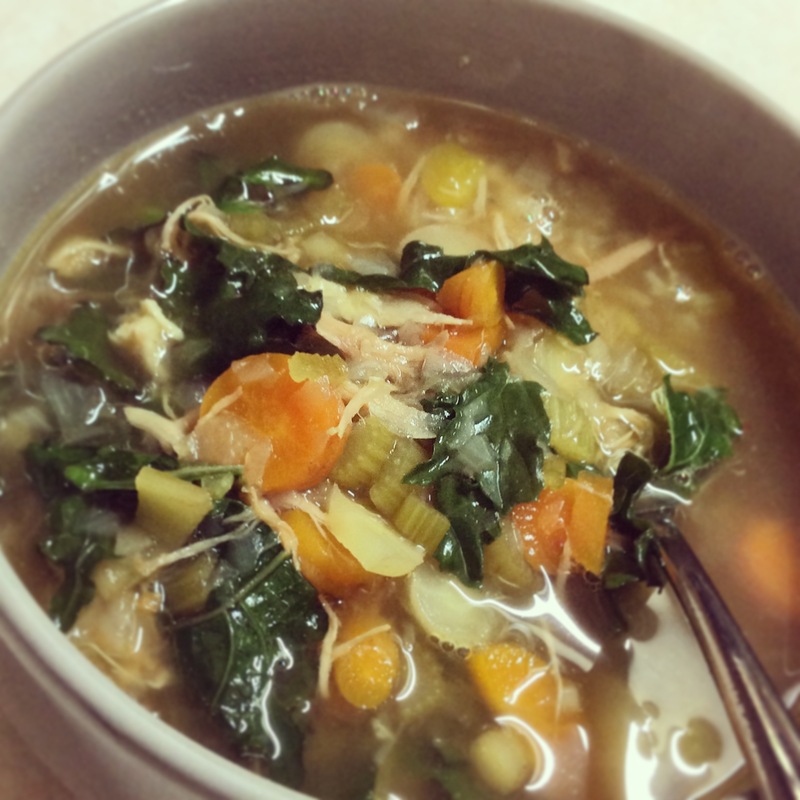 I have to say, I was inspired by a recipe over on DOTE magazine’s website for a simple turkey and wild rice soup. I also have to say that I am terrible at following recipes, especially for soup. I’ll often find inspiration in a recipe, and then make substitutions and additions as I see fit based on what I’m feeling like, or what’s left in the fridge! In this particular case, I happened to have barley on hand, and not wild rice; I also had some kale still growing in my garden which got thrown into the mix. So feel free to mix up the veggies a bit, or swap out the grain for your favourite (or use pasta!). In my house, making soup is basically an opportunity to clean out the fridge, with delicious results. Back to the start; if you happened to be the one hosting the dinner, you would have three options for obtaining a turkey at the market (good to know for upcoming holidays). Blush Lane Organic Market has, you guessed it, organic turkeys available. Blu Seafood brings in free-range birds from Winter’s Turkeys. Last but not least, you can also pick up a turkey at Spragg’s Meat Shop. Who knew there were so many options? Once you have purchased your turkey, invited people over for dinner, and have turkey leftovers, you are now ready to make Leftover Turkey Soup. I like to make my stock in my slow cooker, but this can also be done in a big stock pot on the stove. Place the bones, veggies, bay leaf, salt and pepper into the slow cooker, and cover everything with cold water. (You can also add more veggies or other herbs as you like for flavour). Depending on how soon you want stock, you can use the high or low setting on the slow cooker. I usually place it on high for 2 – 3 hours, and then switch it to low for the remainder of the time. Making stock can take as long as you want it to. As soon as it’s good and tasty, you can use it, but bone broth tends to get better the longer you can hold out. This is why I like using the slow cooker. Plan for at least 3 or 4 hours (on high heat), but I left this batch on for about 24 hours and by the time I was ready to make soup, it was rich, flavourful and so good! Turkeys have a little more fat than chickens do, so I let the finished stock hang out in the fridge for a while until the fat solidified at the top; making it a bit easier to scrape off the excess. I do like to leave a little bit of the fat in because it has so much flavour (don’t be scared of keeping a little in there!). First, chop all of your onion, celery and carrots. Saute the onion for a couple of minutes in the oil, and then add your carrots and celery and cook for another 5 or so minutes. Add your herbs, turkey and turkey stock now, bring to a boil, reduce heat and let simmer for up to an hour. 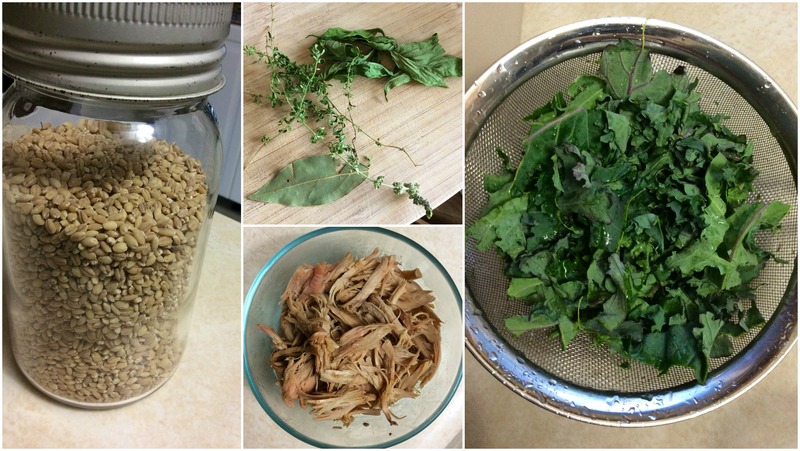 In the last 5 minutes of cooking, throw in a couple handfuls of torn up kale. While your soup is simmering, cook the barley in a separate pot. Set aside until the soup is ready to be served. (Because I find that barley tends to soak up so much of the stock once it’s in the soup, I actually store my barley in a separate container, adding a scoop to my bowl as I eat the soup over the next few days – because the broth is the best part!). Put a scoop of barley in each bowl, add the hot soup, and enjoy! No matter how you like to enjoy your leftover turkey, you can get the ingredients you need at the Calgary Farmers’ Market, Thursday – Sunday, 9:00am – 5:00pm, year round. We hope to see you soon! Hydration is an essential part of exercising. And when you really exert yourself, a sports drink is in order right? Right! Replacing electrolytes is important and that’s what a sports drink provides. But would it surprise you to learn that many sports drinks contain half the amount of sugar you should have per day? Read the label and it’s likely to include high fructose corn syrup, brominated vegetable oil and artificial colours. With obesity on the rise, especially in children, it’s important to make healthier beverage choices. That doesn’t mean you should only drink plain water for the rest of your life. In fact, you can make your own natural sports drink at home using healthy – and easy to pronounce – ingredients! 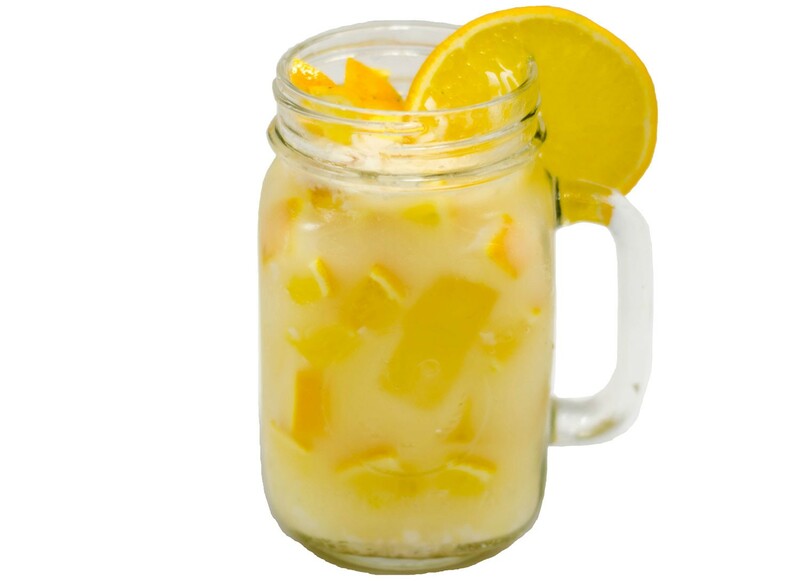 Here is a simple and delicious recipe for a home-made sports drink that will provide all the positive benefits of a store bought one, without the unhealthy ingredients. Add all ingredients to your water bottle, shake, and let chill in the refrigerator. Shake before drinking. Experiment with other flavourings of juice and herbs. Article submitted by Poppy Innovations – offering cooking classes for all ages at the Calgary farmers Market!